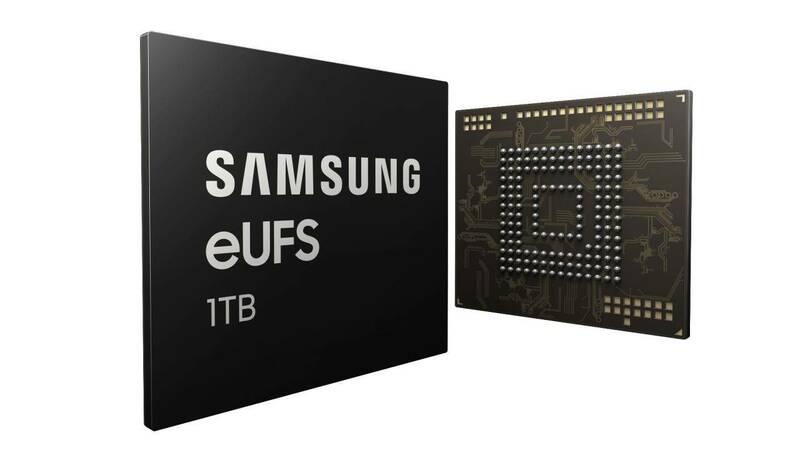 World largest phone-maker, Samsung today announced that it has begun mass producing the industry’s first one-terabyte (TB) embedded Universal Flash Storage (eUFS) 2.1, for use in next-generation mobile applications. According to a release made available to Africa Tech Report, the new 1 TB eUFS memory tech takes up no more physical space than Samsung’s current 512 GB version, but doubles the amount of storage for photos, music, movies and more. It’s enough space to store 260 movies lasting 10 minutes at a 4K resolution, Samsung says. Another advantage of buying a phone with 1 TB of storage over popping in a memory card is speed: with maximum sequential read speeds of up to 1,000 MB/s, we’re talking about access times that are much quicker than even the best microSD cards. It’s also an improvement on the 860 MB/s sequential read speeds of the 512 GB eUFS chip Samsung unveiled in November 2017. Speed is one of the reasons the industry as a whole has moved away from fitting memory card slots into phones. Samsung is one of the few manufacturers that still gives consumers the choice, with the Apple iPhone and Google Pixel among the handsets that don’t. You may remember the Galaxy Note 9 offered 1 TB of storage – but in that case you had to pair a 512 GB memory card with the 512 GB storage model. This year it looks likely that you won’t need that extra memory card to hit the 1 TB figure. If the option isn’t available on the Galaxy S10 phones (due to launch February 20) then it should appear on the Galaxy Note 10 (due later in the year). Samsung introduced its 128 GB eUFS chip only four years ago, which gives you some indication of the rate the technology is progressing. The tech is also going to be made available for other manufacturers to buy, if they want to take advantage of it. The only downside is price: more internal memory is going to push the cost of your smartphone up significantly. At the time of writing the 512 GB Note 9 model will set you back US$1,149 direct from Samsung, and you can expect any 1 TB Galaxy phone to cost a significant amount more. Still if you want all that storage right with you, and have the budget to afford it, you should have the option this year. Samsung also emphasized the benefit of having all that local, super-fast storage available when creating a “notebook-like user experience” on the phone – as it’s tried to do with the Samsung DeX feature, where you can use a Galaxy phone to power a desktop-style interface.